Cool character, a photo by The Bacher Family on Flickr. 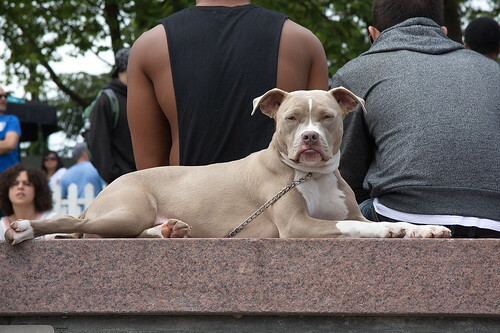 Amid all the colorful people at PrideFest sat this dog, looking just as cool as you please in the midst of the chaos. He was completely unphased by my taking his picture, and sat perfectly still while I got the horizon level and the framing just right. It's not a technically complicated image, but it's one I like very much.